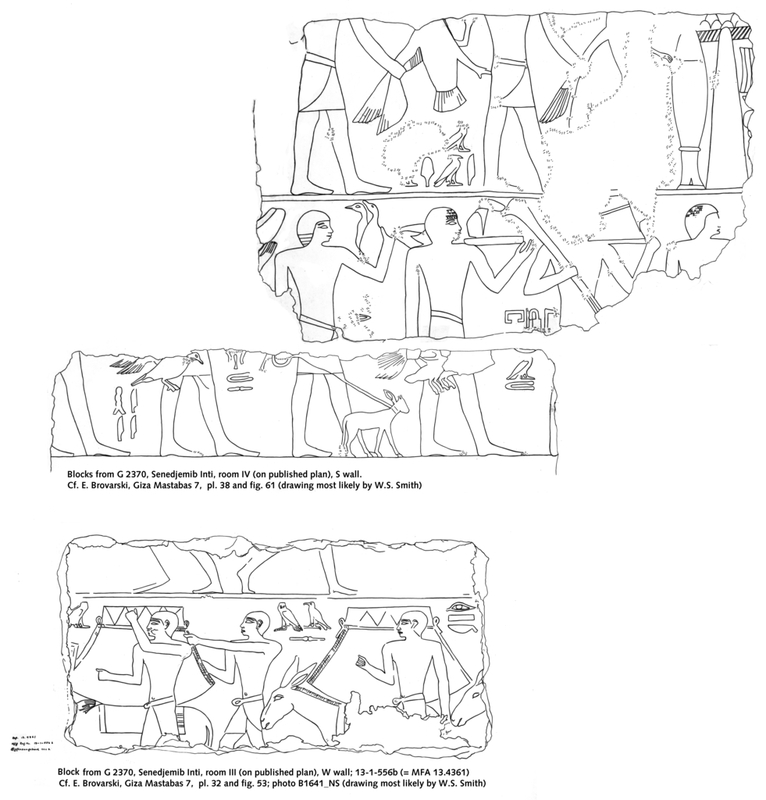 Drawing: 3 fragments (1 harvesting scene and 2 from offering scenes) from G 2370, Senedjemib Inti. Top: 2 blocks from G 2370, Senedjemib Inti, room IV, S wall. 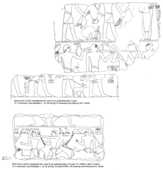 Bottom: Block from G 2370, Senedjemib Inti, room III (on published plan), W wall; 13-1-556b (= MFA 13.4361).